Whether it’s the sizzling months of summer or the snow-white days of winter, it’s your birthday and there’s simply never a shortage of fun to be had in the Windy City. Hop aboard this 68-foot, four-story yacht for a private party boasting sublime views of the pristine waters and city skyline, a top-shelf premium bar, and full catering from a pampering crew. Whether you’re lounging out with booze and bites in front of one of their flat screen TVs or staying on your feet with tunes from their sound system, Adeline’s Sea Moose Cruise is by far the best place to celebrate a birthday in Chicago. If you and your crew can get down with some cold, craft brews, Band of Bohemia is the very first Michelin-starred brewpub serving up not only an excellent beer selection—including five house-made craft beers from their onsite brewery—and high-quality global cuisine, but a beautiful, bohemian-styled space with a lively vibe to enjoy it in. If you’re lucky enough to have a birthday in the summertime, Chicago is chock-full of rooftop lounges and sky-high bars to make you feel truly blessed. 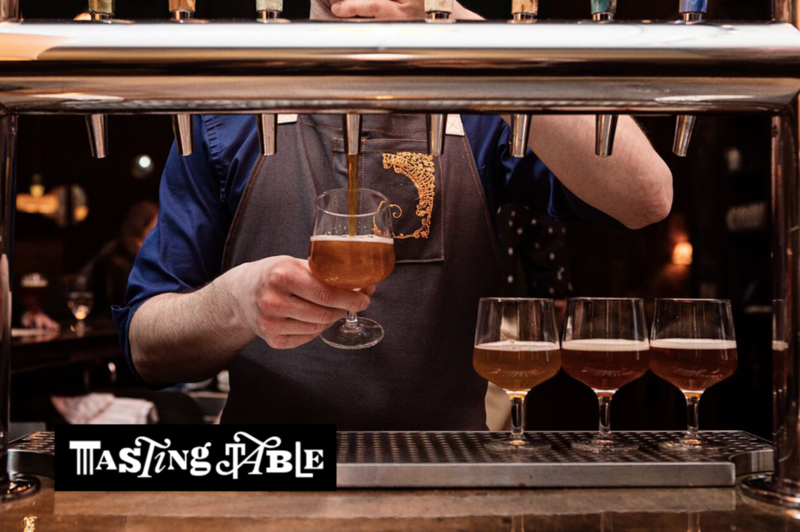 Z Bar is one of the latest openings of 2018 resting on the sixth floor of the elegant Peninsula Hotel on Magnificent Mile and is one of the best places to celebrate a birthday party in Chicago. 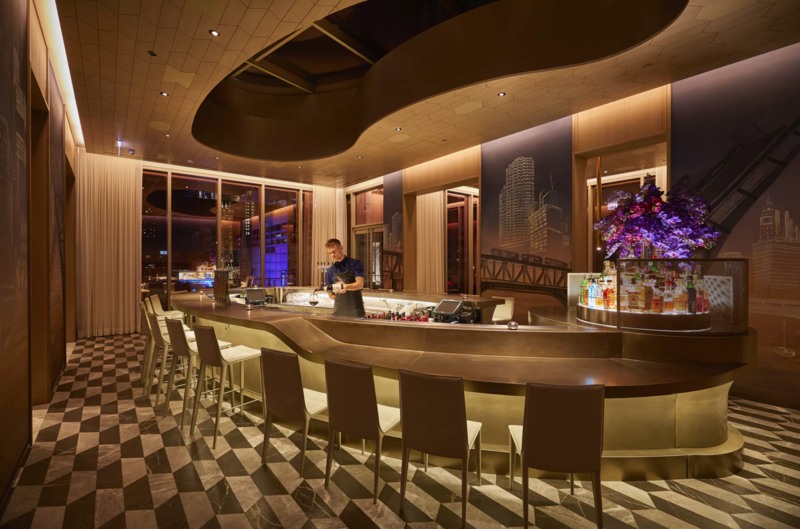 You and your entourage can get your fill of stunning city views and internationally-inspired bites in their private salon or outdoor terrace. Fine wines, scrumptious bites, and stellar music can help anyone celebrate another year. 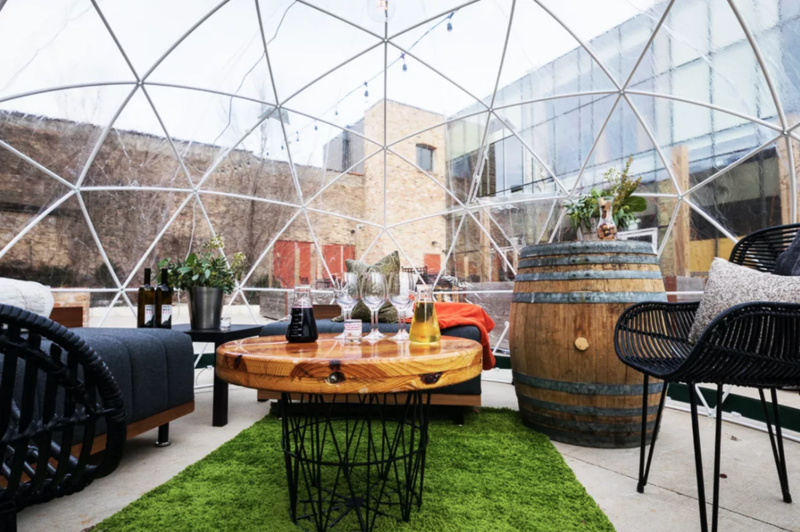 The City Winery at the Riverwalk is another popular birthday idea in Chicago and has just rolled out rentals for their heated River Domes—perfect for those brisk winter months. These future-y spherical domes are pretty snug, but the larger ones can fit 14 people. 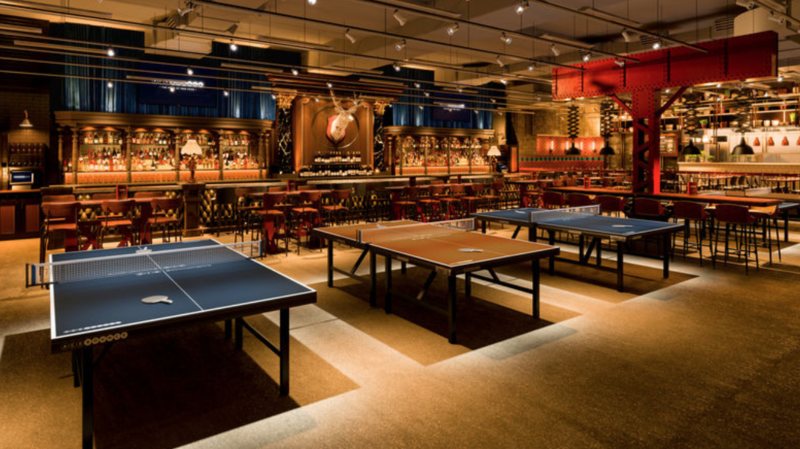 If you’re worried about keeping your friends and family entertained while also well-fed, AceBounce is a venue boasting craft cocktails and beer, a seasonal menu of globally-inspired dishes, and 16 ping pong tables—the perfect recipe for a good time. Whether you have five guests or 500, AceBounce has ample space to accommodate your birthday bunch. Keep the sporty ones in your group active at the party!